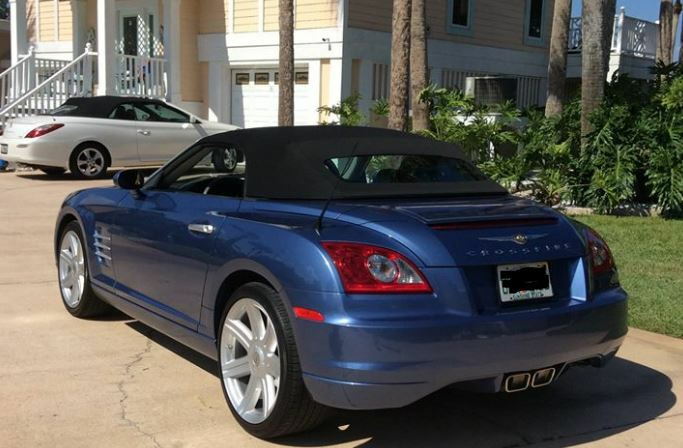 I'm a new member, bought a 2008 Crossfire Roadster, Auto trans, Color Blue. No problems yet. Welcome, I bought my 2005 Crossfire new in Ocala, Fl. I lived in Ocala from 1998 to 2007 prior to moving to Texas. Still have family in Ocala. Do you still have that Crossfire? Any problems with it that I will be getting with mine? Click on this link, you will learn a lot. I still have it with 22,500 miles on it. I haven't had many major problems with it, but I hardly drive it. Welcome to the forum Irv. I'm just down the road from you..north of the Villages, south of Belleview. You'll find the Crossfire tech at Phillips is knowledgeable and helpful for many issues and has been their Crossfire tech for many years. There is not much respect for the Chrysler dealers here on the forum, however there are only 2 services that I will let the dealer perform on my Crossfires which are 4 wheel alignments and transmission flush and refill service as 2 of mine needed those to be performed due to high mileage. Most other services you will find the forum to be a plethora of information and a plethora of helpful people. Thanks for the information, I just bought my 2008 Crossfire Roadster, Aero Blue/Black Top, 13,800 Miles on it. I live west of I-75 & south of SR 200. Looks like I'm going to have to somehow take my Crossfire to Phillips. It won't start today, engine won't turn over. I checked the battery and even charged it, but won't turn over. Also the Rear Spoiler is up and won't go down. Trouble with it already, what Luck? Going to call Phillips Chrysler tomorrow, I have to have it towed in. I would agree with that on the battery, also, I would bet that the RCM is original and known to be a problem. Don't let the dealer replace your RCM. Tighed1 here on the forum performs excellent service to your existing RCM for a very reasonable price. So don't buy one. Rural King has the battery you need for much less than Autozone, Wallyworld, or Advance Auto. beautiful area of Florida that you live in. I love it up in Ocala National forest, iI take my son camping and trail riding often. Like that color of your car as well. I've been thinking about selling my blaze red roadster for a areo blue srt-6. New member with a new srt-6. FTW!!! PICS!! New member, not new to peformance though!